Amidst historic ag trade disruptions and deeply declining net farm income, 350 family farmers and ranchers gathered in Washington, D.C. this past week to meet with members of Congress and weigh in on legislative priorities for farm country. Nineteen Wisconsin Farmers Union members were among those taking part in the National Farmers Union Fly-In Sept. 11-14. Participants visited the U.S. Department of Agriculture, where they heard from U.S. Secretary of Agriculture Sonny Perdue, other top USDA officials and the office of the U.S. Trade Representative. The farmers then made their way to Capitol Hill for a Farm Bill Forum. Throughout the fly-in, the farmers visited all 535 congressional offices to share their personal stories on how federal level policies impact their families and communities. NFU also honored congressional champions for family agriculture with the organization’s highest legislative honor, the Golden Triangle Award. Sen. Tammy Baldwin and Rep. Mark Pocan were among this year’s recipients. “With farmers hurting across the countryside, the fly-in is a key opportunity for lawmakers to put a face to the issues impacting rural America and to help them understand the importance of passing a strong farm bill,” said WFU President Darin Von Ruden. Farmers Union members pushed for passage of a farm bill that supports family agriculture, strong protections from international trade market disruptions, and expansion of the American-grown biofuel market. 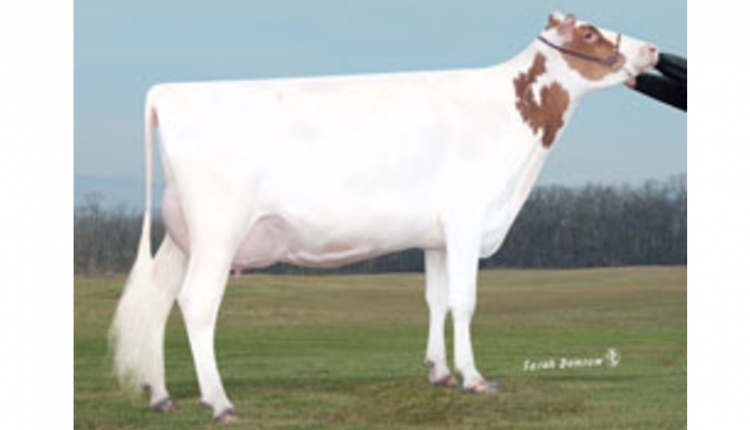 The Wisconsin delegation also expressed the direness of the dairy crisis and the need for the industry to pull together and explore options like inventory management. WFU President Darin Von Ruden, Westby, and National Farmers Union Vice President Patty Edelburg, Scandinavia, were joined by board, staff and members at the fly-in, including: Chris Holman, Custer; Rick Adamski, Seymour; Matt Sheaffer, Brodhead; Keith Kreager, Marathon; Justin Briggs, Stratford; Sarah Lloyd, Wisconsin Dells; Sarah Heck, Durand; Alicia Razvi, Stevens Point; Kara O’Connor, Madison; Virginia Drath, Emerald; Bobbi Wilson, Madison; Danielle and Jesse Endvick, Holcombe; Dennis Rosen, Emerald; Caleb and Lauren Langworthy, Wheeler; and Camryn Billen, Chippewa Falls. 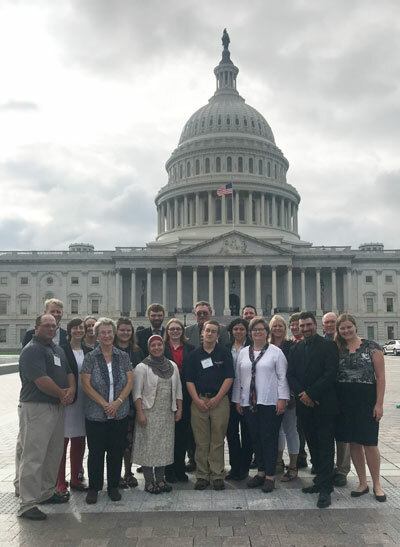 The trip to D.C. kicked off what will be a year-long experience in the NFU Beginning Farmers Institute for Jesse and Danielle Endvick, who raise beef cattle on their Chippewa County farm. For Billen, it was the first step in her role of representing youth from across the nation as a member of the NFU National Youth Advisory Council, a position she was elected to by her peers during Farmers Union All-States Camp this summer in Bailey, Colo. For Caleb and Lauren Langworthy of Blue Ox Farm near Wheeler, the journey marked the conclusion of a year-long participation in the Farmer Union Enterprise Program, which engages young leaders from a five-state region in interactive leadership development activities.